A Detroit suburb filed a lawsuit Tuesday against one of its largest corporate taxpayers, Visteon Corp. The suit, filed by Van Buren Township in U.S. Bankruptcy Court in Delaware, alleges the auto supplier breached its contract over bonds issued by the township’s Local Development Finance Authority in 2003 to build the 880,000-square-foot headquarters on the 287-acre property. A shortfall in bond payments exceeding $36 million is expected in the next two years and will affect municipal services or shift a tax burden onto its 28,000 residents, the township said in a statement. The township contends that Visteon had made a contractual commitment that no shortfall on the bonds would occur. “Filing this lawsuit was the township’s last resort in an effort to require Visteon to keep its promises to our community,” Van Buren Township Supervisor Linda Combs said in a statement. Visteon declined to comment on the legal matter. 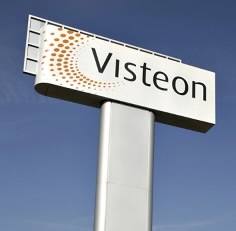 The dispute arose form Visteon’s Chapter 11 bankruptcy in 2009 after the supplier struggled with profitability for nearly a decade. At the time of the bankruptcy filing, the township valued the complex, then called Visteon Village, at $165 million. The township and Visteon later agreed the property was valued at $60 million due to the recent recession. This significantly reduced the taxable value and hampered the township's ability to cover bond payments, according to the filing. The township claims Visteon agreed to “negotiate with the township in good faith to determine the amount of the shortfall with respect to those bonds” and make payments to assist the township, according to the lawsuit. Further complicating the matter, Visteon sold its headquarters to the New York real estate firm Sovereign Partners LLC for $81.1 million, which renamed it Grace Lake Corporate Center.